A lot of classics back in the NES days only tended to offer one form or dimension of gameplay. A space shooter would usually only have players moving around and shooting through a horizontal or vertical moving plane. A side scrolling platformer would have players doing just that, moving horizontally or vertically over hazards and platforms. If players controlled a person, they remained as a person through the entire experience. If players commanded a tank or a ship, a tank or a ship is all they controlled. I never got to thoroughly play the original Blaster Master; I only really had about ten minutes with it at a friend’s house when I was younger. But, those few minutes of gameplay always stuck with me. The cover art and the initial gameplay made it look like a standard side-scrolling shooter. Then, a couple of minutes into it, something very interesting happens: the player is allowed to get out of the tank and platform and shoot as a little person. Then, it goes further, the little human character gets to go into these little caves and the gameplay turns into top-down, Zelda-esque, exploration and shooting! Brilliant! Blaster Master always stood out in my mind because of this. When Blaster Master Zero was shown as a launch window title for the Switch, I was very excited to try it. It looked like some of the stages were pulled right out of the NES original and remastered with new 16-bit visuals. Later I found out that most of the stages and bosses are straight out of the game, making this game effectively a 16-bit remake of the original, with improved story. Blaster Master Zero is a metroid-vania style side-scrolling exploration game. The player controls a tank that moves fast and can jump. The tank can shoot straight, at 45 degree angles and straight up. If that is not enough, there are plenty of unlock-able primary and secondary weapons both for destructive purposes, and progression to new areas. But wait, there is more! The tank also receives a few mobility upgrades like hovering, swimming and wall climbing that, not only are fun, but are also used to access new areas. Wall (and ceiling) climbing never gets old and allows players to reach new areas. Yet, so far, I have pretty much just described Metroid, except with a tank instead of a human in a suit. And, certainly, Blaster Master Zero would be a pretty fun game just with the tank. What makes it really special though is that, at any time, players can exit the tank an control the tiny human contained within. Jason, the game’s protagonist, can run, jump, shoot and even crawl (the most adorable thing I have ever seen in gaming). However, just being a puny human in a suit, Jason will take additional damage from enemies and be hurt (even die) if he falls from too high. 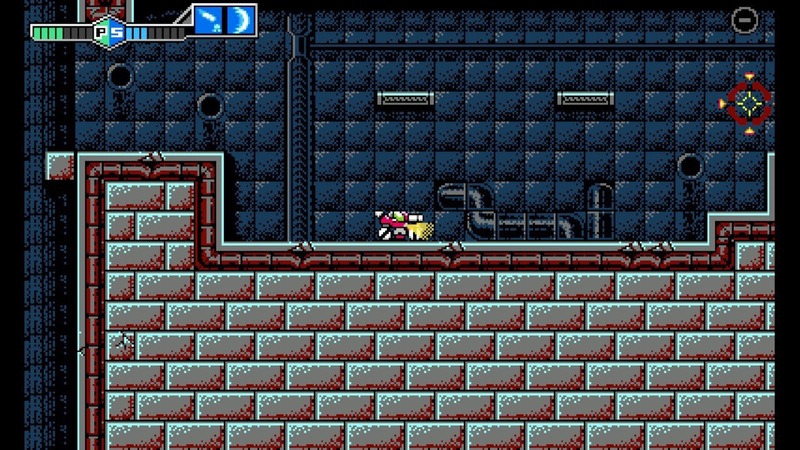 Players can exit the tank in order to reach areas too small or narrow for the tank. So, why leave the tank then? Because there are plenty of areas too small for the tank to get through and even a few “puzzle” sequences where players have to work both on and off the tank to progress through. But, the primary reason is that there are plenty of small caves that only Jason can enter. 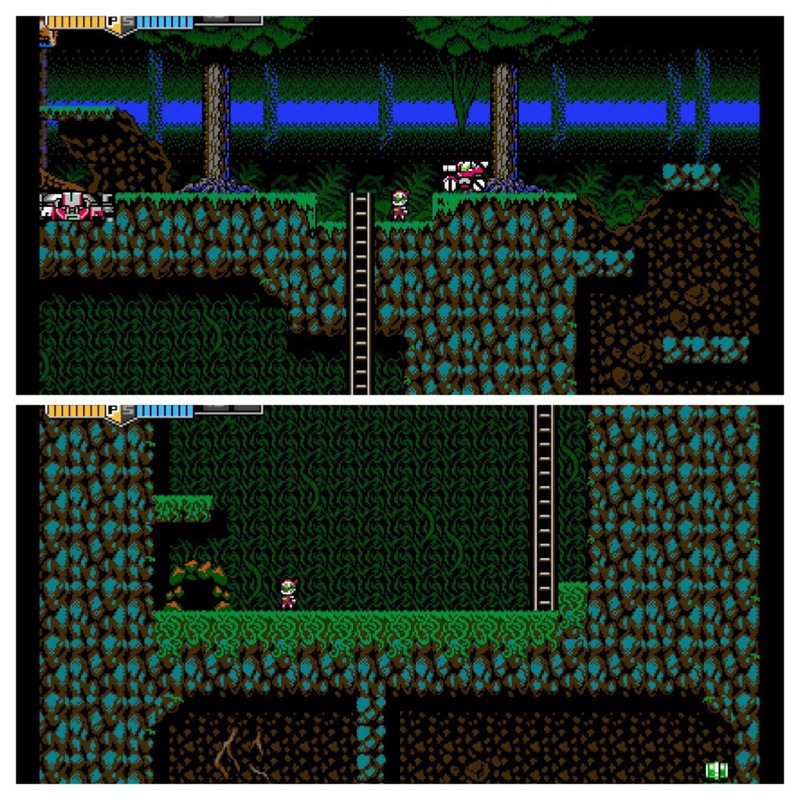 These lead to the games second play-mode, where a much larger display of Jason traverses through top-down environments while shooting enemies. This is also the mode in which most of the game’s bosses are encountered. Jason has his own set of upgrades to primary and secondary weapons. Primary weapon pickups serve to “unlock” better primary weapons and are found often and players are allowed to change between all their available primary weapon tiers at any time. The catch: every time Jason is hit, he loses the highest tier upgrade he currently has unlocked. This encourages players to play more carefully in order to keep the top tier weapon (which is amazing) as much as they can. Secondary weapons work a little different. Each has its own amount of ammunition that gets restored with secondary ammunition pickups dropped by enemies and found around the stages. Jason starts with a standard bomb that is handy for breaking cracked walls (yes, just like Link). Other secondary weapons are obtained through exploration, usually after beating one of the many bosses contained within each of the games worlds. My favorite secondary weapon had to be the decoy turret. Once placed, not only does it shoot in random directions and do average damage, but enemies are also drawn to it, taking the heat off of Jason. Ice melts to fire. One novel find in one of the game’s top-down areas. 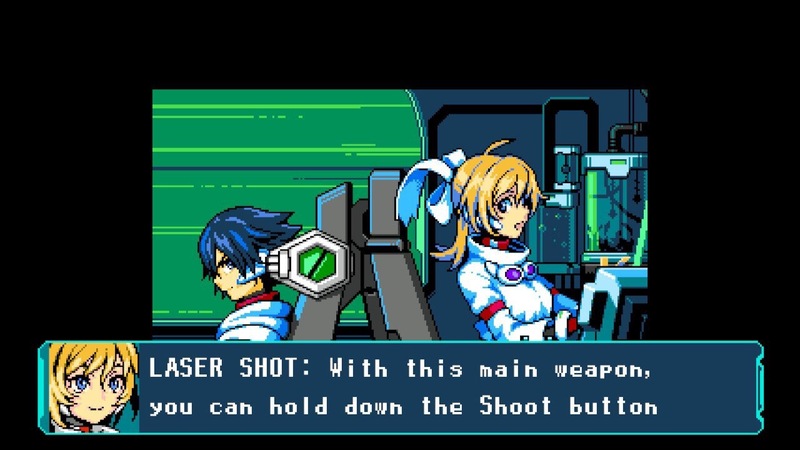 The controls in Blaster Master Zero are sharp and responsive. Controlling both Jason and Sofia III (that is the tank’s name) feels very good. Sofia III is fast, agile and very versatile (especially once some of the mobility upgrades are unlocked). After a couple of hours of gameplay, I felt like I could fly through areas shooting and jumping my way around certain enemies. Good thought was put into playability, like being able to press the right shoulder button to aim at a 45 degree angle. Players can accomplish the same by pressing forward and up at the same time but this causes the tank to also move forward. Sometimes you just want to aim at an angle and stay put. Pressing R allows this. It also allows players to “lock” Sofia III’s cannon in the vertical position, enabling players to shoot upward while moving across an area. While in Sofia III, my preference became to use the directional buttons to move. When playing Jason in the top-down areas, the controls revolve around moving and shooting, with Jason usually shooting in the direction he is moving towards. This aim-towards-where-you-move mechanic could have been a problem, potentially making several of these areas very hard and annoying. But, once again, the developers stayed on top of it. Holding R will “lock” Jason’s facing while still allowing the player to move in any direction. This allows Jason to shoot while strafing and generally have multiple angles to approach encounters from. My preferred move control of choice for these segments was the analog stick. Enemy at an angle? Sofia III has you covered with straight, 45 degree and vertical shooting angles. The game is generally easy. This is specially true if players avoid getting hit while controlling Jason and maintain the highest tier primary weapon for most of the game, like I did. This weapon shoots through walls and dividers (something no enemy can do). It also very much melts most of the initial bosses in the game; so much I do not even know what some of their mechanics are because they died too fast. Also, there is the fact that enemies only shoot horizontally and vertically. So, if Jason is careful, he can always shoot them at an angle and never get shot at back. At later stages in the game, things get a little bit more tricky as several areas force Jason to sneak around undetected instead of engaging enemies. Patrolling enemies with flashlights (classic) will ignore Jason as long as he is not caught in their light. Get caught and every enemy patroller within that screen will rush you with guns blazing. These grunts take a lot of hits to kill and hurt Jason with both their weapons and their bodies. Conclusion: this can super annoying and super painful. But, it adds a welcome layer of challenge and change in approach. When in Sofia III, the tank, things are usually pretty breezy, as long as players are careful and patient. Sofia III is sturdy, with enough weapons and options to make it through most areas without blowing up. 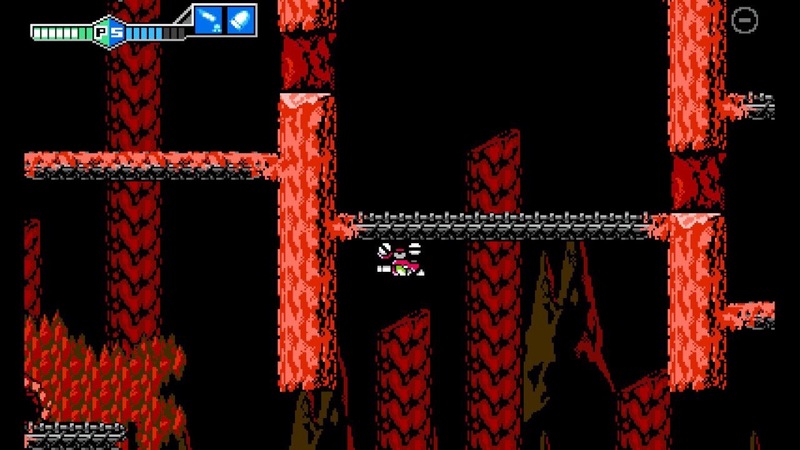 Like any good Metroid-vania style game, Blaster Master Zero offers a map function. At the start of each individual area, the map is slowly revealed as you traverse through the different rooms. 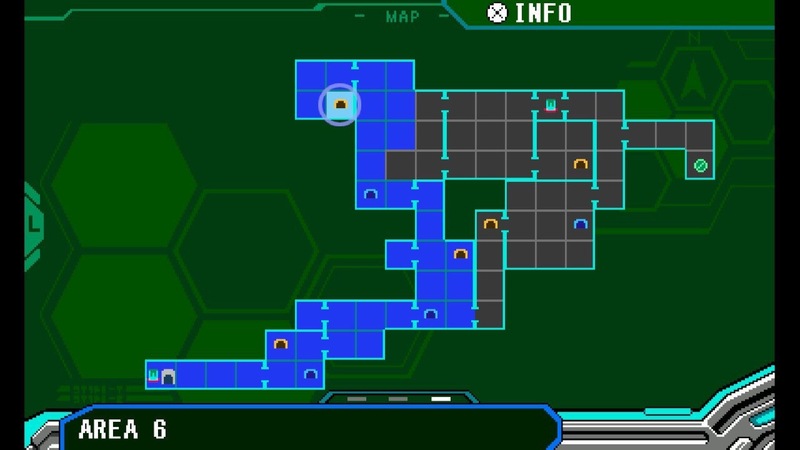 Once you obtain the Map chip for a particular area, the entire map for that area is revealed, with quadrants already visited colored in blue. The Map Chip will also mark all doorways, cave entrances and boss locations. This is indispensable for any player looking to explore every map to its fullest and obtain all the upgrades for both Jason and Sofia III. The Area Map gets filled in as players explore the different areas in the game. An interesting feature they added to Zero is the ability for a second player to aid in the adventure. Whenever a new game is started or a save file is loaded, players are prompted to select whether they want to continue in single or multiplayer mode. In multiplayer mode, the second player is given control of a set of crosshairs that they can move anywhere on the screen. This allows them to shoot enemies and even drop health and secondary ammo pickups for the main player. In theory, it provides a very cool way to share the single player experience with someone else. There is one huge catch, however: I found no way to access the Map while in multiplayer mode. It was probably an oversight by the developers but, to me, it stripped the appeal of multiplayer as I was unable to explore the maps the way I like to. A second player can help with shooting and even place health and ammo pickups. From what I have read, the English and Japanese versions of the original Blaster Master game had completely different stories. Blaster Master Zero’s story seems to be a careful combination of both. Overall, the game provides players enough backdrop to flavor the game’s world with a little bit of context. Character interactions are very predictable and somewhat shallow. Yet, something that really surprised me, the characters are very endearing and, as the story progressed, specially towards the end, I became truly vested and curious about their outcome and that of the story. Several story moments are presented with classic 16-bit anime stills. This is one of those games that actually has two endings. Naturally, I got the game’s “bad” ending on my first completion. I had not idea at the time that the game had two endings but, the ending I saw was so terrible and tragic that I very quickly realized what was going on. Aside from my completist self not being satisfied with an “incomplete” ending, I actually wanted to see what the better ending was; I did not want the story to finish the way it did for me. This is probably when I realized I cared for the characters more than I thought. No real spoilers: all that I needed to do to get the “good” ending was go back to a few areas and make sure to get any upgrades I was still missing. To my surprise, defeating the final boss again did not immediately take me to the new ending, but unlocked an entire new area to explore. Bonus! And, the final conclusion was well worth the extra effort. I encourage players to get the bad ending first, and then go through to the good ending. I feel that is the way the game was “intended to be played”. It made for a truly enjoyable experience. For players that had the opportunity to play the original Blaster Master, this remake might only offer some better graphics and a re-flavor of the story. But, for everyone else, this is a very unique experience that, although a bit on the easy side, will offer players a good six to ten hours of varied fun across its two main gameplay forms. And, frankly, the story is surprisingly engaging for this type of game and the era it revives. Note: Although my entire experience with this game was on the Nintendo Switch, Blaster Master Zero is also available on the Nintendo 3DS eShop.